For affordable towing you can count on, contact ABC Towing. We’re Federal Way’s trusted towing specialists. 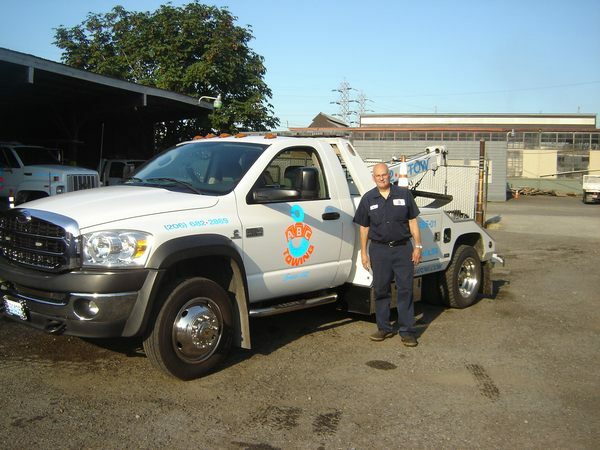 We provide towing services for businesses and individual drivers in South King County. When you need a tow cost is always a concern. 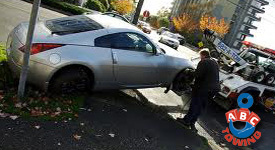 As your Federal Way towing specialist we have prices that are right. There are exceptions. Please see our “Specials” page for more details. Need towing in Federal Way? Look no further than ABC Towing. We’ll take care of you immediately. Our highly trained tow operators have seen it all. They’ll get to you, so you can go on with your day. If you’ve been in a car accident we can provide a tow. Towing is available to a shop of your choice. We serve the greater Seattle area. Towing isn’t available in rural areas. 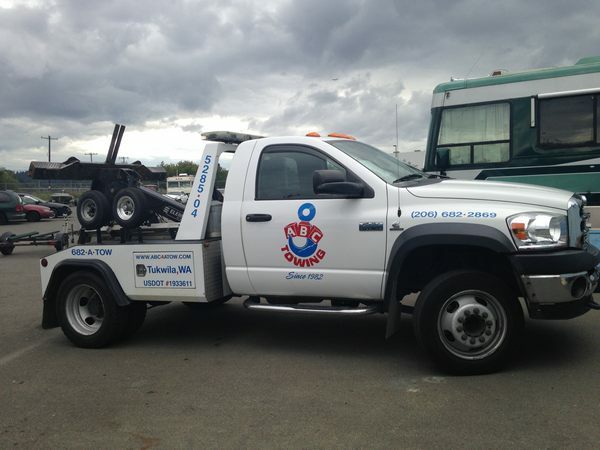 For towing in Federal Way contact ABC Towing today. Moderate or severe auto damage can harm your vehicle. Blown tires can leave you by the side of the road. And what happens if you run out of gas? Contact Federal Way’s emergency towing company. ABC Towing has emergency towing operators. They’re trained in rescuing your car and getting it to safety. Have a bigger vehicle? No problem. Emergency towing is available for trucks or vans. We’ll even safely tow your custom vehicles. We won’t get a scratch on it! Don’t stay stranded. Contact your Federal Way emergency towing company. You’ve tried to start your vehicle numerous times. But nothing is happening. When you need a jumpstart call ABC Towing today. You can call, fax or e-mail us. We’ll be there to give you the jumpstart you need. Batteries can be fickle. Neglect them and they’ll get you when you least expect it. ABC Towing understands you’re no battery expert. If it goes out, you need a boost until you get a new one. We’re the towing service in Federal Way to call if this happens. Save money by calling us first. Your jumpstart specialist will arrive with a jumpstart kit to get you going. You’ll be home or to work before you know it! Contact ABC Towing for fast and dependable towing.